Howard Lewis & Petersen has extensive experience in criminal defense in both the public and private sector. Whether you are facing minor misdemeanor charges or are involved in a high-profile felony case, the accomplished criminal law attorneys at HLP are here to provide the experienced guidance and confident representation you need and deserve. Howard Lewis & Petersen attorneys have experience in a broad range of criminal matters, from traffic violations to misdemeanors and felonies. In each case, we work hard to scrutinize the evidence, challenging any evidence that was obtained in violation of our clients’ rights. 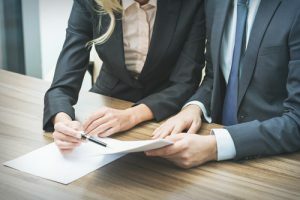 We consult with each client regularly to ensure that you know your rights, your options, and the possible ramifications of each potential choice. Where appropriate, we will negotiate with the prosecutor to seek a charge and a punishment recommendation that meets the requirements of justice tempered with mercy – and where a plea deal is not appropriate or desirable, we will provide you with top-quality representation through your trial and beyond. DUI: We check to make sure that all sobriety tests were conducted fairly and that your BAC testing was administered according to rigorous scientific standards, challenging any procedure that doesn’t measure up. Drug Charges: From simple possession to trafficking, we have handled cases involving marijuana, methamphetamine (meth), heroin, cocaine, and prescription drugs such as OxyContin, Xanax, and Soma. We challenge evidence that wasn’t collected fairly, charges that aren’t supported by evidence, and penalties that don’t meet standards of fairness. Violent Crimes: If you’ve been charged with a violent crime, whether it’s simple assault, domestic assault, or even capital murder, the attorneys at HLP have the experience to guide you through the court process and to stand up for your rights. Post-Conviction: HLP attorneys also handle a variety of post-conviction matters, including parole and probation violations. First Time Offenders: First time offenders under the law have some special options available to them. The Utah criminal defense attorneys will explore all potential diversion agreements, trials or plea in abeyances. Whatever your criminal justice needs, contact us today for a consultation.